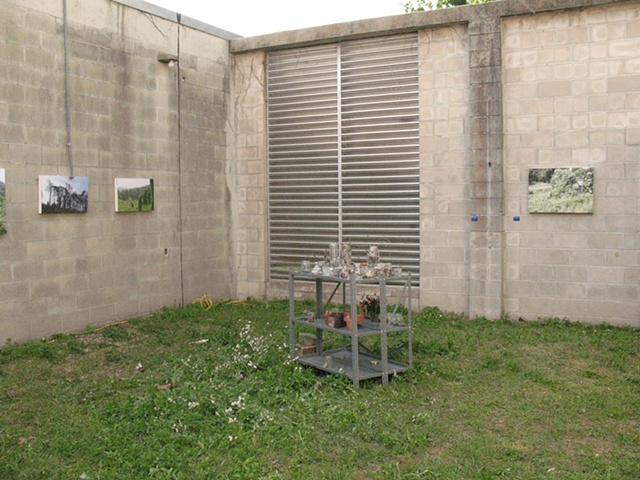 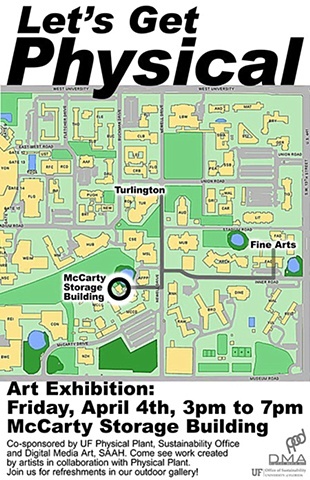 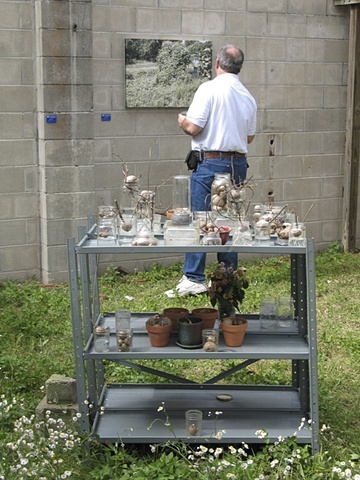 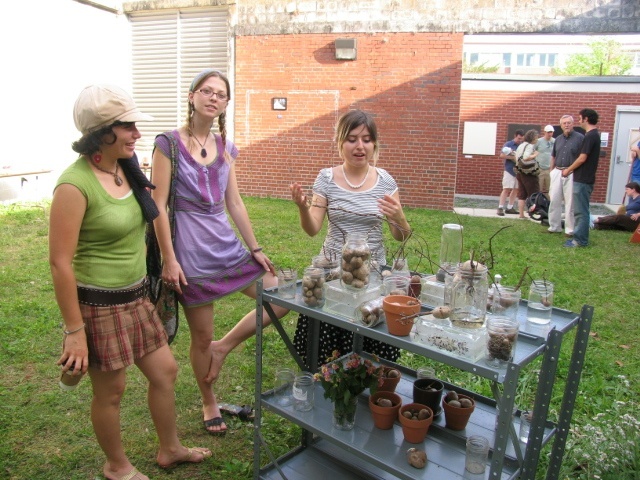 This project (2008) was developed in conjunction with a mini Artist-In-Residency with the Grounds Crew of the University of Florida's Physical Plant Division and with my peers in a digital media graduate seminar with Prof. Katerie Gladdys. 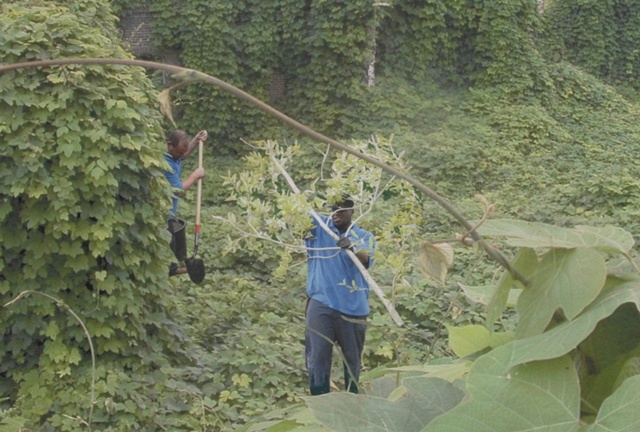 I learned that a lot of what the grounds workers on campus do is combat invasive species that, if allowed to grow, soon take over native plants. 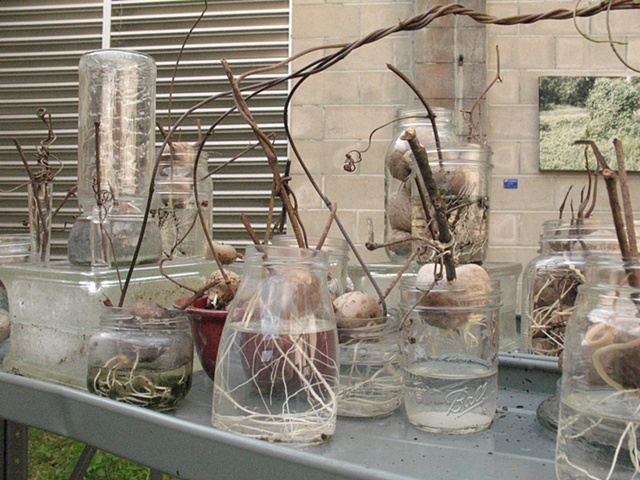 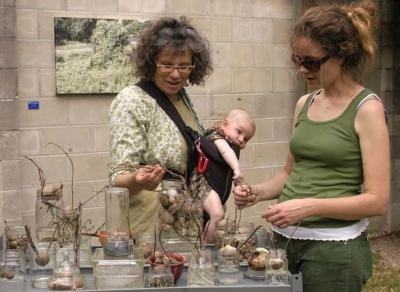 I collected "Air Potatoes" in my own backyard, allowed them to grow in controlled environments and then displayed them as one component of my installation, as a way of drawing attention to this problem. 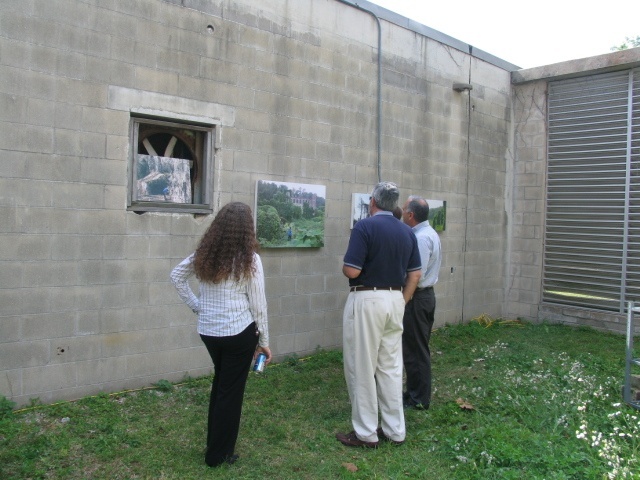 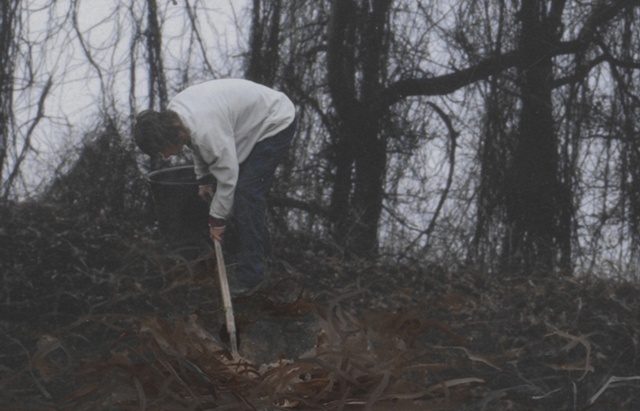 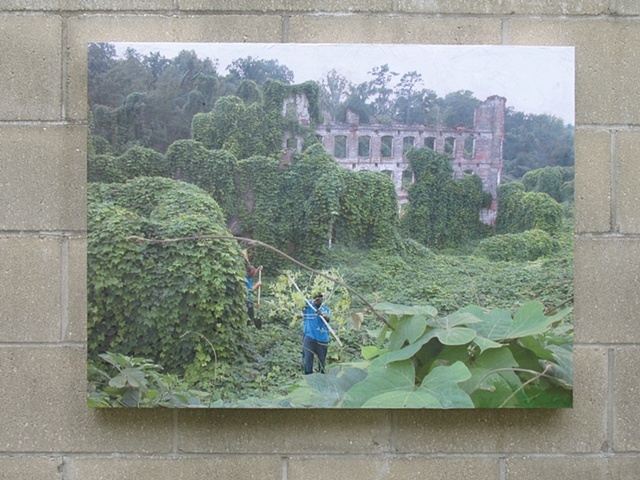 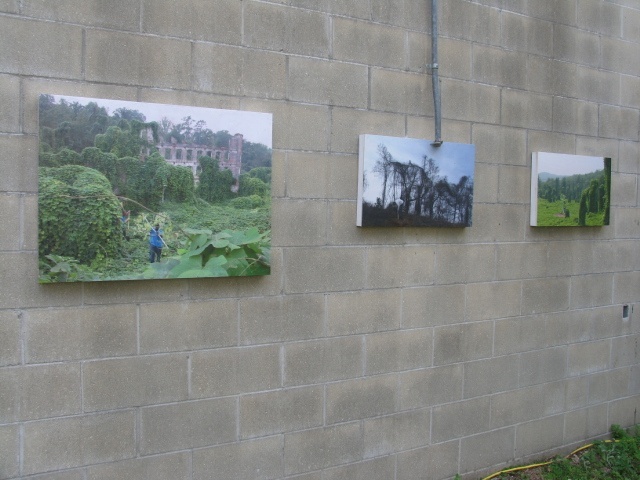 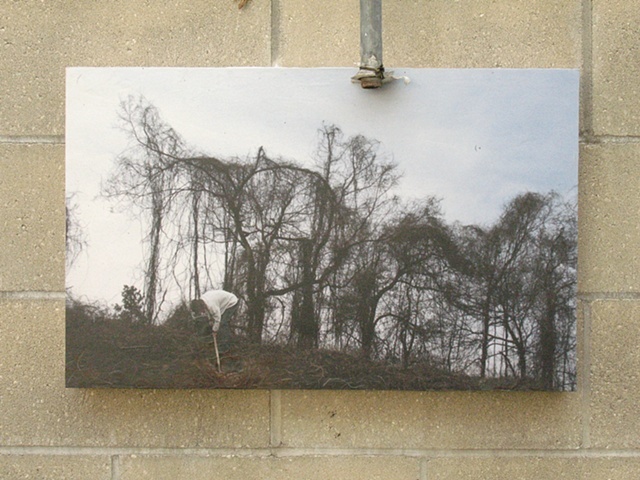 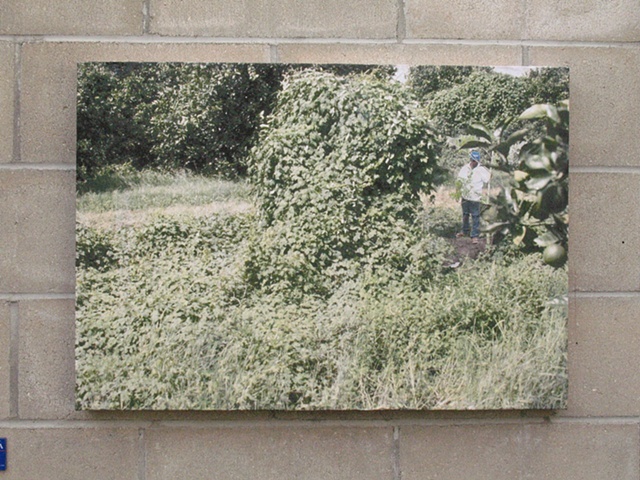 The other component was a series of collages for which I photographed individual employees while they were planting trees or weeding, and then transported their figures into photographs of environments that have been totally taken over by kudzu, air potato, and other invasive species. 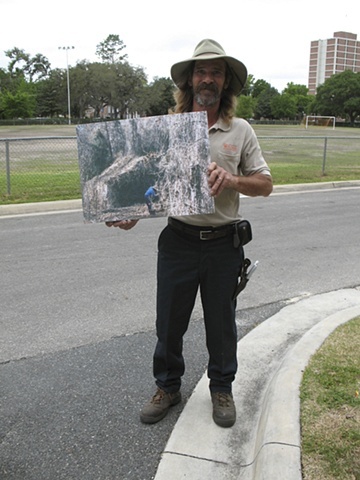 Many of these employees felt that they were working in a capacity that went unnoticed by the rest of the university population, making their efforts feel futile at times. 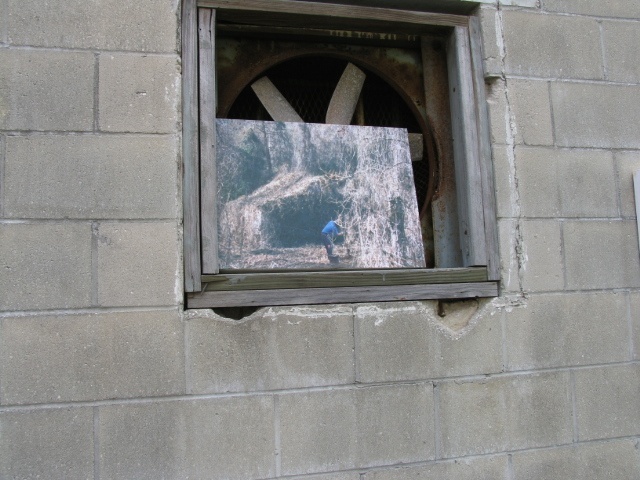 These pictures are an attempt to reflect these issues through the metaphor of landscape.